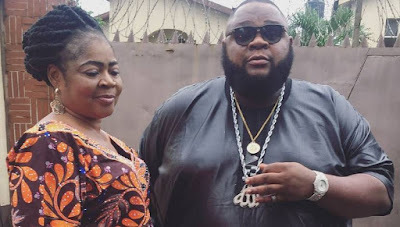 Sheriff Olakunle Ilori, popularly known as Big Sheff, has openly confirmed his marital status which has been misconceived by some people. The rapper and musician noted that he had lost a lot of prospective relationships due to this misconception. “I don’t have any wife or children, a lot of people actually get things wrong. The children whose pictures are on my Instagram page are my nephews. A lot of girls have turned down my proposal because of this misconception. My sister and I are very close, so I transferred the love I have for her to her children, which is why people think they are mine. “My brother lives in Canada with his wife, and they have a set of twins, while my sister has two kids in Nigeria. I take pictures with them at intervals. Last year, I was at the stage of getting to know a lady when she accused me of having kids already. “I told her I didn’t have any child but she insisted I was lying. She even went as far as doing research on me via Google; she took a screenshot of the results of her search. After she confronted me with the screenshot, I was dumfounded; I had to apologise to her because there was nothing I would have said to convince her. I eventually told her I was sorry for wasting her time. “I am single, but I am not searching because some ladies think I have kids. If I am searching, it means I am desperate and I’m ready to accept anybody that comes my way. Ladies don’t send me messages on Instagram anymore, I’m sure it is because they see me as a married man,” he told Saturday Beats. » Photo: Ladies, What Do You Think of These Girls Big Oranges?